Despite initial skepticism on the idea of a temporary photo messaging app, Snapchat took off in 2012 with users sending millions of images to each other. By 2016, Snapchat surpassed Instagram in growth rates around the world. However, a lot of bloggers are still unclear about how to utilize this platform to amplify their message. We'll share a few lessons we learned at the BlogHer conference and break down simple ways to tap into this visual social channel. Those who aren't familiar with Snapchat will assume that it's a one-trick channel where users simply send direct messages to their friends. But in the past year alone, brands have used Snapchat in delightfully creative ways to share information. For example, a cosmetics company released a preview of a brand new product while car company, Audi, partnered with the Onion to caption funny images for the Superbowl. Many brands now use Snapchat regularly to announce events, new products and special promotions. While, yes, snaps disappear in a short period of time, there's no reason why you can't incorporate Snapchat into your next social media campaign. Snapchat doesn't offer the greatest analytics for formal data analysis, but there are several tools to help you manage your account better. Snaplytics is a digital tool that assists you in tracking campaign success and other critical metrics. Brands can see who watched their "Stories" to completion and how their followers are growing day by day. Snaplytics also offers free "Influencer Profiles," which are intended to help brands feature their best content, link to other platforms and increase visibility. Sprinklr is a digital tool that helps you manage Snapchat ads, which appear in your followers' "Recent Updates" feed. Essentially, ads are a chance to present more polished, well-thought-out content on Snapchat. As discussed at the BlogHer conference, we're quickly beginning to see exactly why Snapchat has garnered success so quickly since 2012. Snaps are often candid, untouched and very recent, making Snapchat somewhat more authentic and "live" than Instagram. It is this candid immediacy that makes it such an appealing platform for communication. Snapchat took a strategic step further in the direction of instant access when they implemented a new feature called Discover. Discover offers users a streamlined option for browsing interesting brands and subscribing with one tap (This is similar to "liking" a brand's Facebook page). Cosmo took advantage of this, posting tons of behind-the-scenes content for their followers. According to Vice President, Kate Lewis, an estimated 3 million people now visit Cosmo's Discover account every day. Aside from quickly vanishing snaps, Snapchat now offers a chance for something slightly more permanent. "My Story" is the perfect feature for visual storytelling. It allows brands to post images or brief video snaps that can be seen by all followers for 24 hours. Brands can make these snaps available to their entire audience or target specific demographics by browsing their list of followers. Snapchat skews young with 13-25 year-olds as the dominant audience -- but bloggers shouldn't perceive this channel as a silly platform for teenagers. With international brands like Coca Cola and General Electric joining the Snapchat craze, smaller brands would be wise to follow suit. Publishers can utilize the platform to make their visitors aware of their blog or website as well as products, deals and trends. 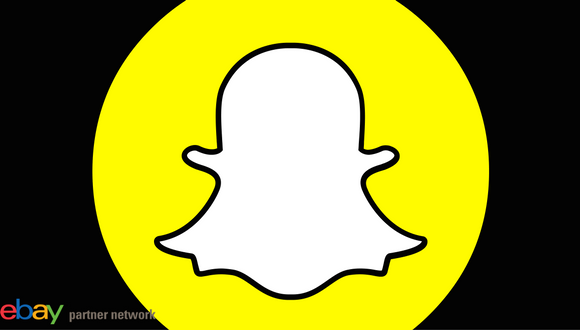 Snapchat provides a unique opportunity for brands to connect with younger audiences where they feel most at home.